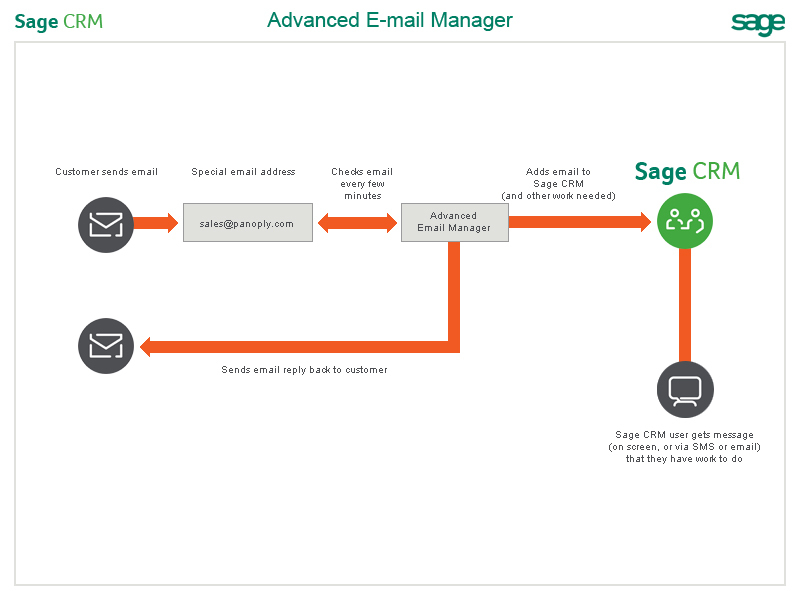 The E-mail Management functionality is installed automatically with any CRM installation. 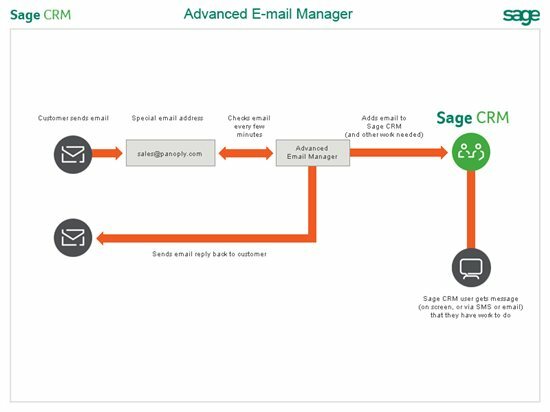 The CRM E-mail Management service runs as a background process on the server (EWAREEMAILMANAGER.EXE) and processes inbound emails according to predefined business rules. E-mail Management requires the completion of some setup tasks by the System Administrator to enable it for use. The E-Mail Manager functionality can also be made available whether you use CRM’s embedded E-Mail Editor or another email client to handle outbound mail. It is also available for forwarding information from inbound mails (sitting in your email account) into your CRM system. This is described in the documentation. Those area also allows the system administrator to fine tune the way the message is processed. The code that is held in the template (e.g. support.js) can perform just about an data task within CRM. You can create and add any number of templates into the system. 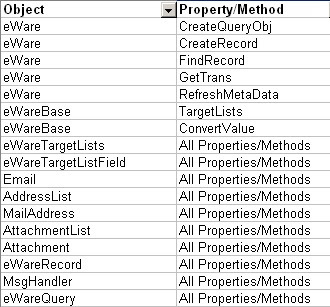 You have full access to any of the data handling objects within CRM and many of the process objects. You could for example have the inbound email be filed in CRM as a communication linked to a new case, send an automatic email back to the customer giving them the proof that their support issue has been received. That outbound email may have attachments (e.g. faq.pdf). You could even ensure that when a customer sends another email quoting a reference number then that email is correctly filed against the existing data. The API allows interaction with workflow and table level scripts. How to create an mail manager template will need to be covered in another article. The documentation does describe how you can set the Mail Manager up can test it with the existing default templates. 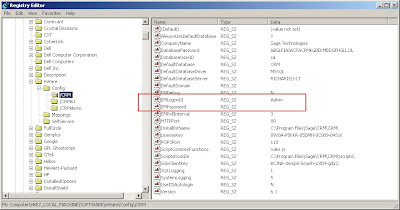 BUT really the Mail Manager picks up the information about which accounts to monitor and how to monitor them from the registry settings of the CRM installs themselves. Because you can have multiple installs of CRM on a server but only one install of the mail manager the mail manager can easily get confused as to which instance of CRM it is supposed to be serving. To ensure that your mail manager is interacting with the correct CRM instance then you will need to go to the CRM registry entries and blank (set to null) the EMlogin and EMpassword entries EXCEPT for the install of CRM you wish to use with the mail manager. I have also found that the mail manager is can run into problems with certain Anti Virus programs. You may need to register the eWareEmailManager.exe with your Anti Virus software as being allowed to carry out email tasks. Or you may need to change the ports that it works with if port 25 (SMTP) is blocked by the AV software. For example in your email server and CRM change the ports to 111 (for POP3) and 26 (SMTP). Sometimes everything will work on a Development machine but on the live server the mail manager fails. One test to make is to stop the mail manager service and queue a monitored email account with an email message. Then reboot the server. If there is a brief window where the Mail Manager can connect and process immediately on startup but then subsequently stops then it is likely to be another program clashing with the Mail Manager. The most obvious is the AV - but other services that use MAPI/POP3 could be responsible. There may be a fax server or other software clashing with it.